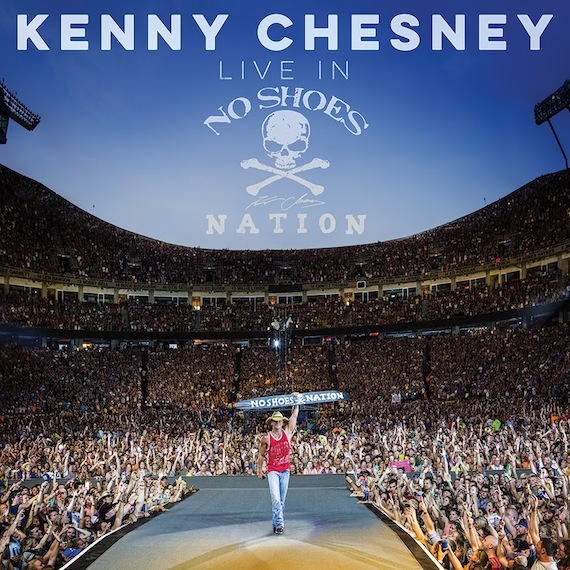 Kenny Chesney’s album Live In No Shoes Nation debuted at the top of the Billboard 200 chart, marking his eighth time in the No. 1 slot on the overall chart. His sales total reaches 219K, with the two-disc set included with every ticket order to next summer’s Trip Around the Sun 2018 stadium shows. This is Chesney’s 15th time entering at No. 1 on the Top Country Albums chart. The new collection includes special guests, hits and obscure tracks, recorded in venues ranging from stadiums to local bars. His tour opens April 21 at Tampa’s Raymond James Stadium.